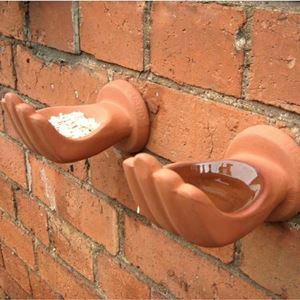 This novel "Handy" bird waterer doubles up as a bird drinker & bird bath. 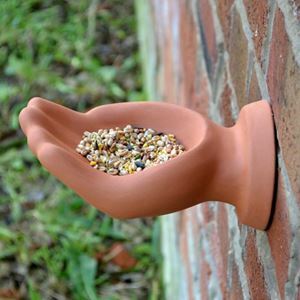 A helping hand for thirsty birds. 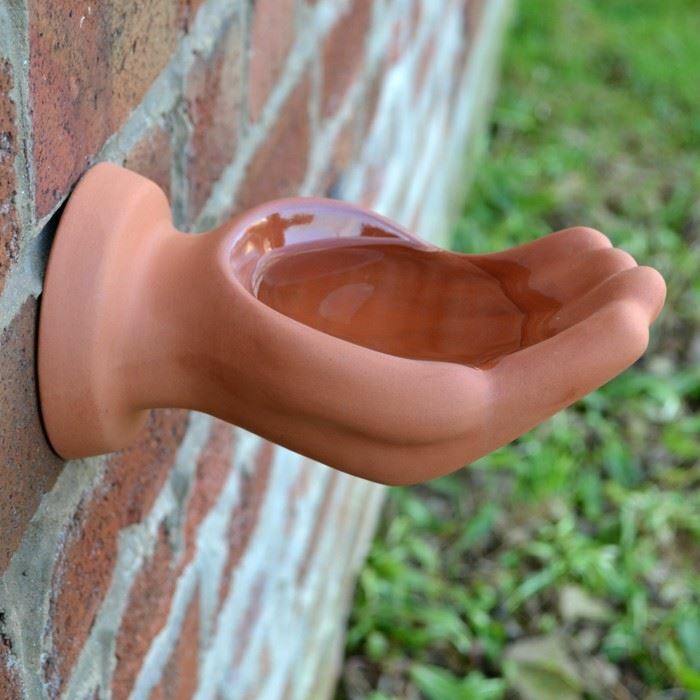 Designed for fixing on walls, fences & pergolas around the garden. 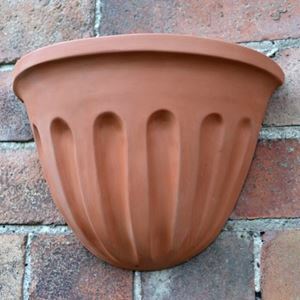 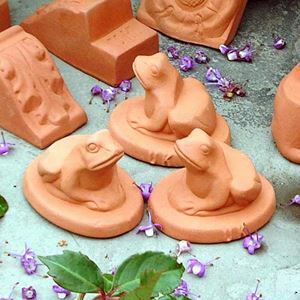 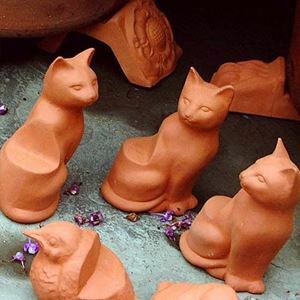 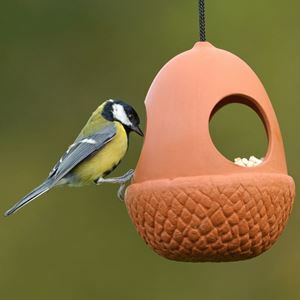 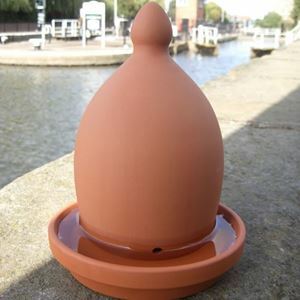 Fixing with a screw is easy, this terracotta bird waterer has a slot in the back to locate on a screw head.